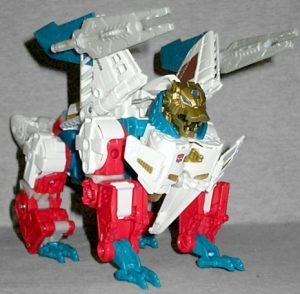 Unlike the vintage Sky Lynx (which was made of molds leased from the same company behind Omega Supreme), the Generations "Combiner Wars" version can't split into two components - he is not a bird and a cat, he is only a birdcat. But if you're willing to play around a bit, you can find a decent approximation of a standalone bird or a standalone cat. Sure, neither of them is as uniquely divergent as the ones in the '80s, but for fanmodes, they're not half bad! 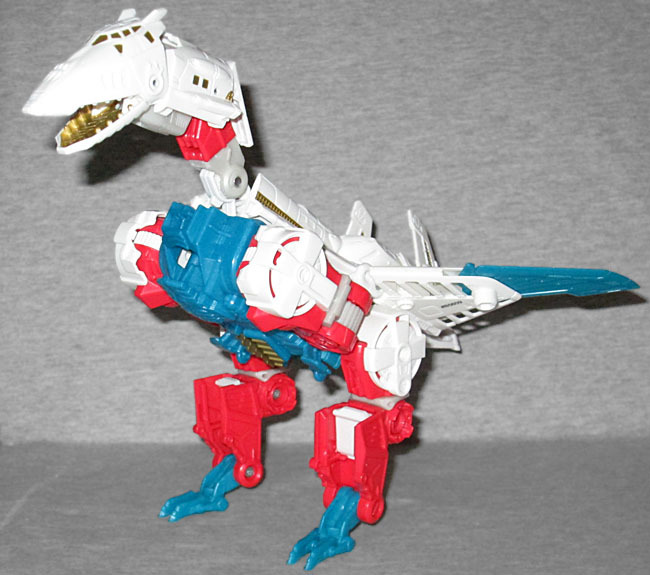 This entry was posted in addendums, customs, Hasbro and tagged Transformers. Bookmark the permalink.